Wedding ring pack Silverchilli - Beautiful fair trade sustainable silver jewellery from Mexico. There is a refundable £15 deposit payable on our Wedding Ring pack. 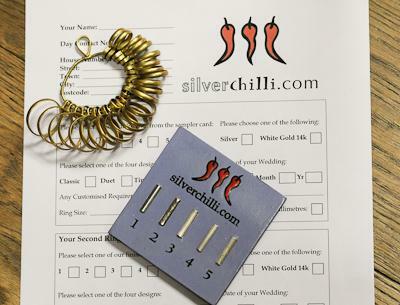 As soon as the ring sizer and sampler are returned, we'll refund the £15 to the card you paid with.